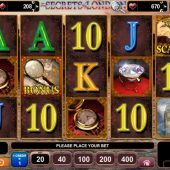 The Secrets of London slot is decent addition to the EGT catalogue and it's nice to have triggered features again instead of a basic stacked icons game as with Like a Diamond slot. 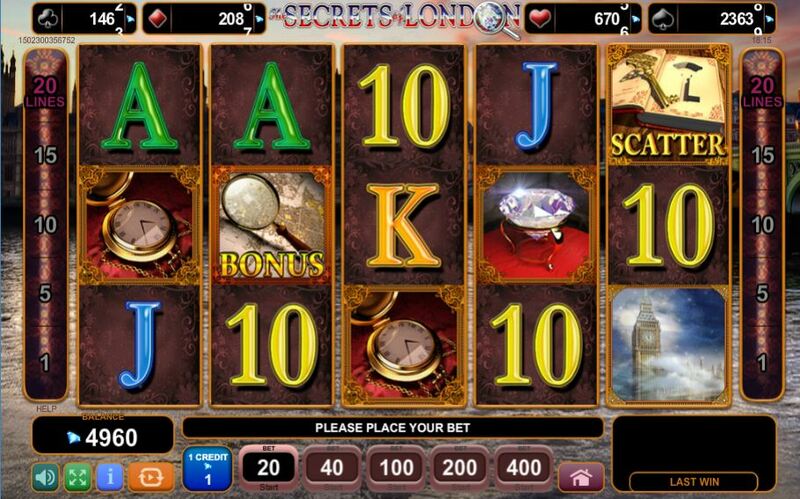 In fact Secrets of London is quite unusual given the fact there are two bonus rounds available, a rarity for this developer! Their themed slots tend to have a single feature if at all, as is the case with Route of Mexico and Amazons' Story. The reels sit against an evening photograph of the Houses of Parliament take from across The Thames, but we keep the usual EGT 'trotting' sounds as the reels spin. The era appears to be Victorian and we have a Gentleman from that time in London and mysterious objects he's associated with. Will his items mean a capital gain for you though? Should a Magnifying Glass from our intrepid detective appear on the centre 3 reels, you get 5 spins with a secret symbol. The game randomly selects one of the higher value picture icons described above and then removes all other symbols so the reels just spin with more of the selected icon and blanks only. You can't retrigger but it is quite fun to watch. You will see an animated Red Book on all reels as with Novomatic's Book of Ra Deluxe game. Only this time it opens to reveal a Golden Key hiding in a recess cut into its inner pages. Three of these anywhere in view unlock 7 free games which can retrigger and also carry a 3x multiplier. You get a better set of reels too on which to discover the secrets.